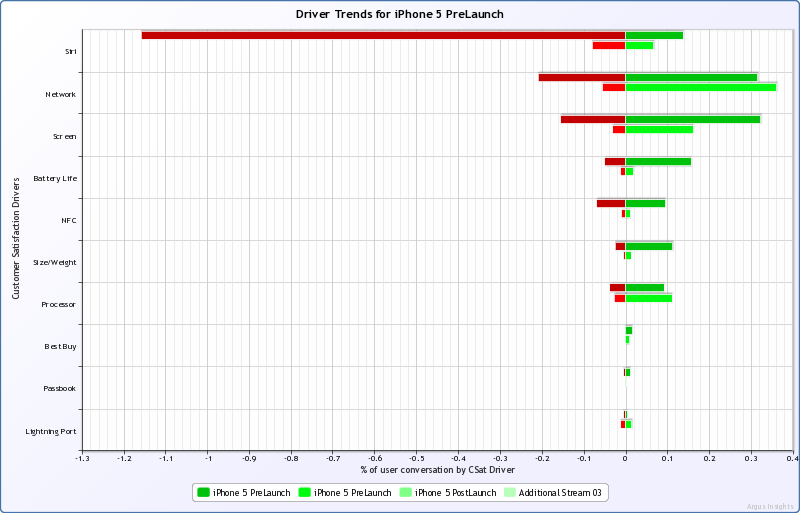 We’ve been tracking the iPhone 5 launch craze for a few weeks now. With probably more buzz than an election campaign, the iPhone buzz volumes (Twitter alone) for the iPhone 5 peaked at over 20,000 per minute when the iPhone was first unveiled. Prior to launch, what were people talking about? What was driving the conversation? What features were most anticipated? We analyzed the pre launch buzz using the post-launch realities of Lightning, Passbook, etc. and found that across the board there were more leaks than a cardboard canoe with even the names of unannounced features in rather broad distribution, for secret information, prior to launch. Additionally we can see that the market is stacked against Siri and mixed views on NFC in general. We’ll be back soon with the post launch analysis. 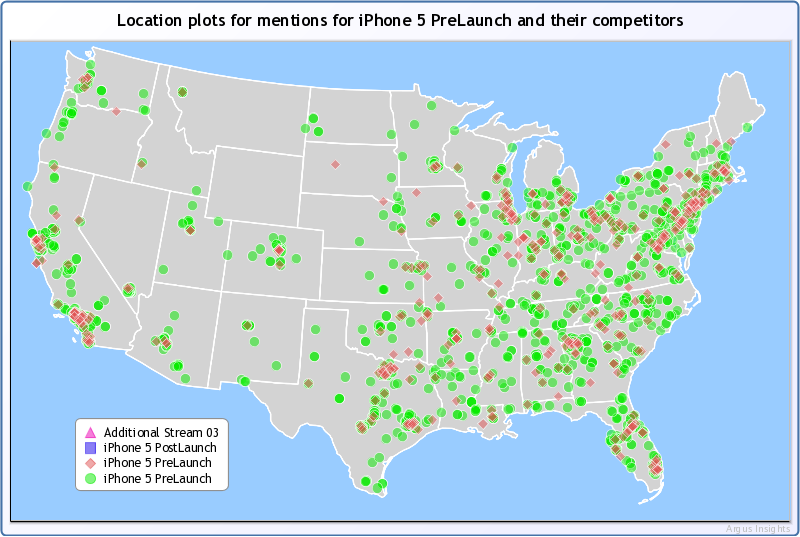 You can also see that excitement around the launch was pretty widespread across the US market. We are merging multiple pre launch data streams and will update this view as soon as we get the post launch information.